Picking what to wear for a first date can be very stressful and can turn a happy occasion into a nightmare. Don’t let emotions take the better of you, but think clearly and follow some basic rules. 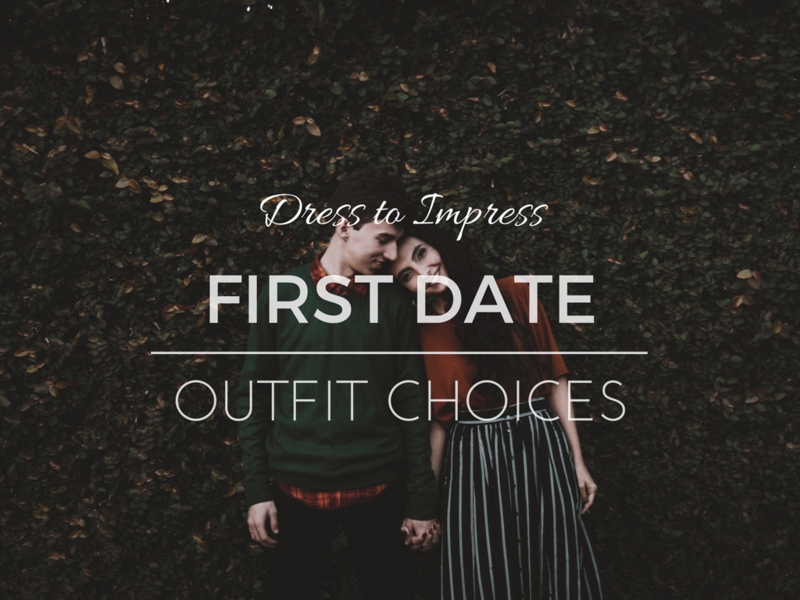 Here are some tips and different styles to make your date go as smoothly as possible. Take a look. The goal here is to look effortless. You’ll never go wrong with something laid-back, like an easy dress with a jacket of your choice. Get something that will show off your style like a light leather jacket, a denim jacket or a cardigan. If you know the vibe of the place you’re going to, opt for some simple flats or choose wedge sandals, just make sure they’re comfy. For a casual daytime date, think jeans, a pair of converse and dark sunglasses. This will give you that confident effortless look. Evening dates demand a little more effort. The key is in layers that will give a little bit of texture to your outfit. Toss on a bold leather jacket or a cute cardigan over a dress or layer necklaces or bracelets, the choice is yours. Don’t go over the top with details, but if you do them right, they can really make you stand out, and that’s what you want to do on a first date. Mix casual and chic by pairing heals and simple jeans or go with bold prints and patterns to spice it up a bit. Choose comfy footwear, because you can never know where the night can take you. Remember to keep it casual with makeup, so just go with a natural look. Sometimes a little mascara and a touch of lipstick is all you need. Your date will be amazed how natural and chic you look. Here you have to do some investigating, because you don’t want to come underdressed or overdressed. Even on a formal occasion, you want to subtly stand out, so choose an interesting piece of jewelry or accessory that will make you pop out from the rest of the crowd. If you want to know how to make a guy fall in love with you instantly, be comfortable with yourself and what you wear. You don’t want to spend the whole evening in the restroom adjusting straps or fixing makeup. Don’t wear something you can’t breathe in or eat in, although this is a perfect chance to wear a body hugging piece. A subtle slip dress, something to protect you from the elements, and comfortable heels are always a good choice. There’s only one thing to say here: Comfy footwear. Whether you’re going to an amusement park, a concert or to a bowling alley, they are an absolute must. Wear fitted clothes, avoid dangling jewelry and get an over-the-shoulder bag for extra comfort. Don’t wear anything you couldn’t get over if it rips. Subtle makeup and a pony tail are what you want on a date like this. Now, you can do all sorts of adventurous things without feeling restrained. Maybe you’ve been invited to a wedding date or a cocktail party , so it could be a little tricky to choose what to wear because you can’t know how formal/informal it is. Try going with slightly quirky style by mixing a contrasting bag or shoes, a cool belt and a cute hair accessory. You will look confident, stylish and ready for any situation, and most of all, you will look unique. A first date doesn’t have to be so scary and stressful as everyone thinks. The right outfit can bring the best in you and leave a strong impression. 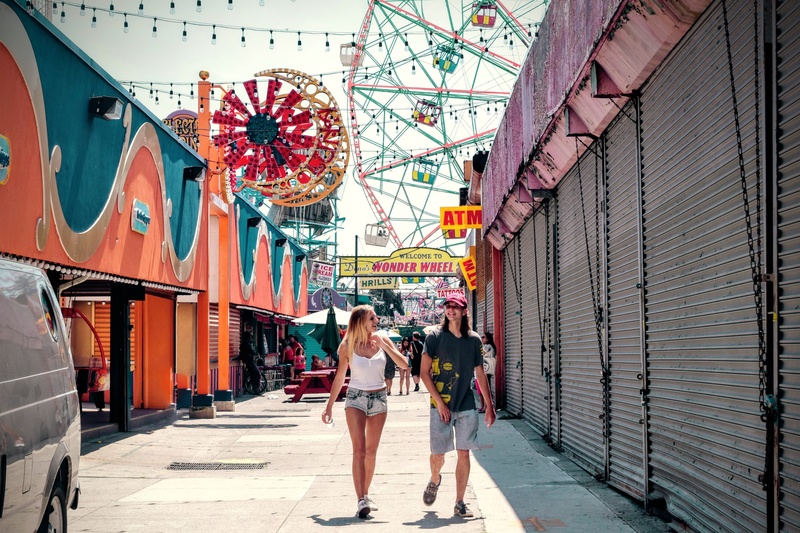 There are no strict rules to follow, but there are some guidelines that can help you have an unforgettable first date. You just have to relax, be yourself and enjoy the night.